Stop heavy vehicles! We contribute to the WLTP procedure. Depending on the equipment variant, our lightweight Con-Pearl® van lining saves up to 60% (approx. 80 kilograms) of weight compared to a wooden lining. The WLTP replaces the NEDC (New European Driving Cycle) which existed since 1992. The WLTP is a more realistic measurement method for determining fuel consumption, CO2 emissions and the range of vehicles. It should help to classify the vehicles more realistically in the efficiency classes. For cars, the WLTP came into force on 1 September 2018. For all commercial vehicles, the law will be effective from 1 September 2019. What is different from the 1992 NEDC? “The mass” – essentially determines the fuel consumption of the vehicle. The WLTP procedure is more comprehensive and representative than the NEDC used so far. The procedure will be accomplished like the NEDC in certified test laboratories. The conditions are precisely defined; this is a basic requirement for a reproducible comparison of different vehicles regardless of the test bench or test laboratory. A significantly new component of the test cycle is the consideration of special equipment. Any additional equipment that the customer can afford will affect the weight of the vehicle, therefore the required energy of putting the vehicle in motion. CO2 emissions are the foundation for the amount of vehicle taxes payable. With our up to 60% lighter Con-Pearl® load compartment package compared to a wooden lining, CO2 emissions are saved at the same time. That may be the reason for having to pay less vehicle taxes. 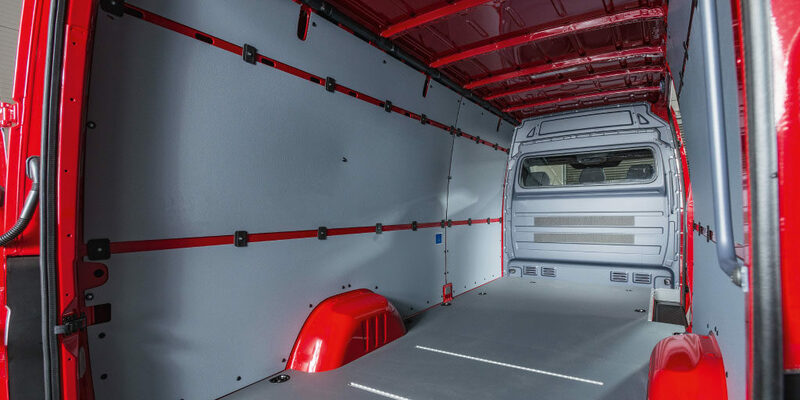 The Con-Pearl® van lining made out of polypropylene is factory configurable for the Mercedes-Benz Sprinter. Also suppliers such as Rahloff Nutzfahrzeuge GmbH or Westag & Getalit AG are installing the lightweight and innovative polypropylene lining for transporters of all kinds. This entry was posted in Automotive, Blog Posts Englisch and tagged con-pearl, con-pearl van lining, innovation light commercial van, lightweight flooring, lightweight van, save kilograms, save weight at car, saves co2, van flooring, van lining, wltp.